"Very compassionate, he honestly cares about his patients." "Doctor Chawla is very dedicated to his patients!" "Dr. Chawla takes the time to listen to me and my concerns as a patient which is vital"
"You will never find a better neurologist"
Parminder Chawla, MD, owner and operator of Loudoun Neurology Associates, offers patients a full spectrum of neurological services. With an office located in Lansdowne, Leesburg, Virginia he provides diagnosis and treatment for a range of general neurological disorders — including migraines, strokes, Parkinson's disease, and Alzheimer’s disease. For patients with certain chronic neurological conditions, Dr. Chawla’s treatments may slow the progression of the disease and prevent further damage. Dr. Chawla attended medical school at Dayanand Medical College and Hospital at Punjab University in Ludhiana, India. He received postdoctoral training at Harbor Hospital Center in Baltimore and completed his residency in neurology the University of Illinois in Chicago. He’s a member of the American Academy of Neurology and is a consultant neurologist at Inova Loudoun Hospital in Leesburg. At his state-of-the-art office, which is conveniently located on the opposite side of the hospital, he offers same and next day appointments when possible. Beyond being a successful neurologist, Dr. Chawla has also written a fiction novel. He speaks four languages, including English, Hindi, Panjabi, and Urdu. 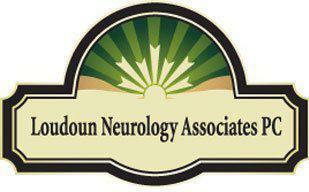 "Dr. Chawla is perhaps the best neurologist in northern VA. He writes an extensive report of your health that is both precise and succinct." "Dr. Chawla is a great doctor, he is very knowledgeable and caring. He listens to his patients and provides treatments to help with the quality of life." "Dr. Chawla is a great! He is very patient and works to find a solution to all of my problems."